Day 1: Welcome aboard El Duque (about 8:30am). Travel out to Isla Espiritu Santo. Snorkel a reef and watch for wildlife. Anchor in a quiet bay for dinner and relaxation, perhaps a swim or kayak to the beach for a stroll. Day 2: In the morning snorkel with the sealions at Los Islotes (no in water activity permitted June-August), a colony of over 400 hundred with lots of playful pups and explore the rugged beauty of the northern tip of Espiritu Santo. 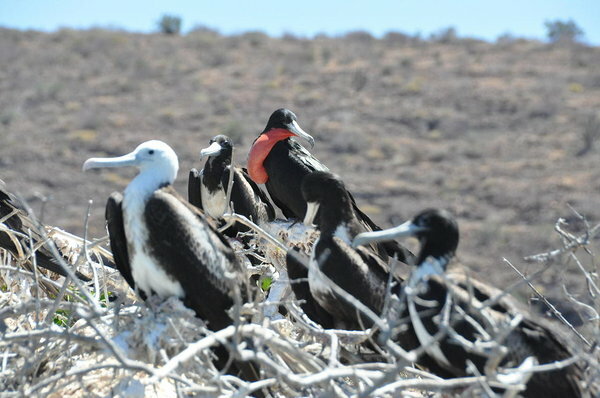 In the afternoon take a hike on the island to explore the desert ecosystem. End the day with a delicious meal and sleeping on the boat in a quiet bay. Day 3: Welcome to the underwater world - discover what it is like to scuba dive! 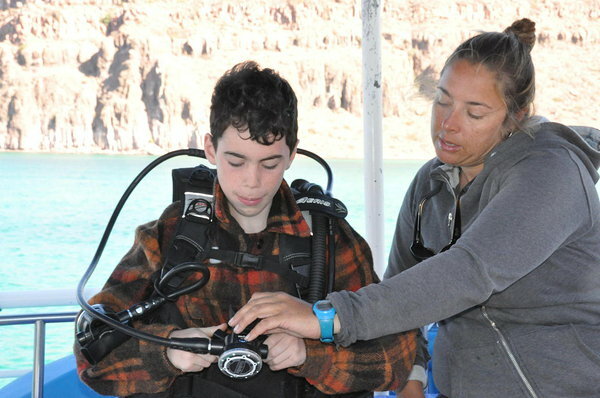 Learn the basics of scuba in what Jacques Cousteau called “the aquarium of the world’ with a try dive dive from your onboard instructor. Return towards La Paz whilst watching for marine life. Arrive back to town about 5pm to disembark and transfer to your hotel. Price US$750 per person, based on a minimum of 4. Optional Extra – A 3rd night can be spent on the boat in front of La Paz, we can include dinner, breakfast and the following day an excursion to snorkel with the whale sharks. US$140 per person (only possible October - April). Includes: all activites, passes to the natural protected areas, food, snacks and soft drinks. We can organize hotels and transfers or make recommendations. Trip Itineraries are subject to weather and conditions, we will always make safety our first priority.